Although I’m a huge fan of bright, fun lipstick colors, once in a while when the weather starts to get chilly, I like to switch it up and wear my vampy lipsticks. For me, the darker the better. This lipstick in particular isn’t necessarily dark, but it’s different. I’ve never owned anything like it. Are you wondering what I’m talking about? You’re right. Salem by LimeCrime. I’ve been wanting to try one of their Velveteen lippies for the longest time so when I got the opportunity to purchase one, I was automatically drawn to this one. Salem is like the perfect brown lip product. It’s a Velveteen so it goes on liquid and dries completely matte. It’s a beautiful color and perfect for the Fall. My favorite part of this lip product is that it literally lasts all day and it’s not as drying as some of the other liquid to matte lip products I’ve used before. I think this will definitely be a staple product for me this season! * If you want to see a makeup tutorial using this lipstick click here. 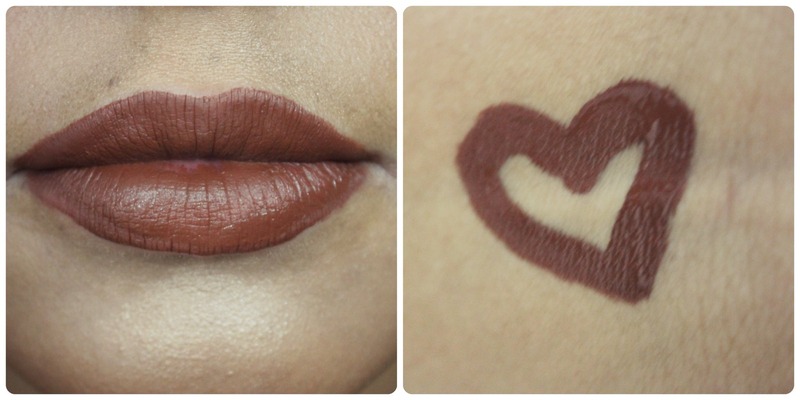 What are your favorite Brown lipsticks? Any LimeCrime Favorites I should try?